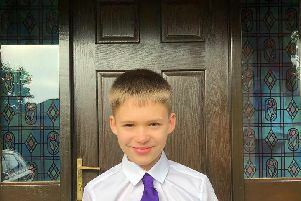 A worried father has launched a Facebook appeal to help find his 11-year-old son who has gone missing from a Livingston school. Ryan Walker hasn't been seen since leaving Williamston Primary School, in Bankton Lane, at 3:15pm this afternoon. 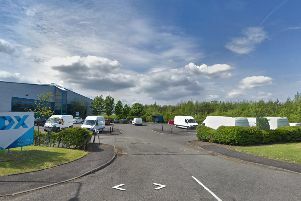 And police have said that Ryan may have taken a train to the Edinburgh area. His father, Andy Walker, wrote in a public Facebook appeal: "URGENT: Can people keep an eye out for Ryan. He hasn’t been seen since leaving Williamston Primary School at 3.15pm this afternoon. He’s in his School uniform and wearing a blue fluffy fleece. Thank you." The post has been shared over 2,100 times. Police have also appealed to the public to help trace the missing schoolboy. Ryan is described as being 5ft 2ins tall, of slim build with short dark hair, wearing black rimmed glasses. When he was last seen he was wearing his grey school trousers and a navy blue hooded top (fluffy material). He may be carrying a white folder. The police statement added: "Our enquiries so far have identified that Ryan may have taken a train to the Edinburgh area." Anyone who may have seen Ryan or has any information please contact 101 quoting incident no. 2469 of the 16/01/2019.